10WordPress plugins that are essential for SEO. How to boost your website traffic to get unlimited visitors. After you finished your company website, let's assumed that you choose WordPress as your content management system (CMS). That's a good choice especially if you are relatively new to web design. You can generally get a Solid WordPress website or blog up and running in no time. So you are ready to optimize your WordPress website or blog. These are the 10tools you can make use that will let your website to be ranked and visible to search engine. This plugin is one of the most popular and most download among WordPress users. It provies one of the tools to optimize your WordPress website without doing any coding. 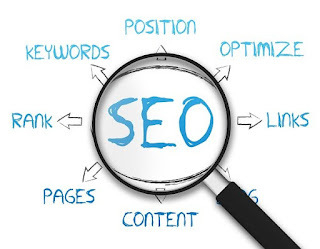 You don't even need to know more about SEO because it will walk you through many of the important elements like SEO titles, meta description and effective keywords usage. It also allows you to write achieves, categories and title tags. Visit www.yoast.com or search for Yoast SEO in Google. The first step to get ranked is getting indexed Google. One of the goals of an SEO strategy is to make sure the search engine can fully indexed your site, so it knows exactly what you are about. It has to be able to find the correct pages before it can ranked them, you can help it out by adding a Google XML sitemap to your site. When it start to linking some links are good for SEO while others aren't. You don't want some of your "link juice" to go a less prestigious site. To prevent this from happening, there is a tactic you can use called "no follow". Download at https://WordPress.org/plugins/rel-nofollow-checkbox/ or Click here. Adds a checkbox to the WordPress post editor where you can enter in external links you choose to "no follow". 4. Google analytics by Monsterinsights. After you have deployed your website, it is important to monitor how it is doing. You won't be able to monitor the performance of your website unless you see areas where the opportunity for change actually exist. A proper web optimization strategy would not be complete without link building. Links show how authoritative and trustworthy your website is, so it's important that every link has a purpose and comes from, or points to authoritative sources. You can have a great looking website, but still not be successfullsuccessful at converting people into buyers, why? Because your website takes too long to load. Download at https://wordpress.org/plugins/w3-total-cache/ or Click here. 7. All in one wp security & firewall. There is nothing worse than spending time and money on building a great site and then find out it get hacked. No business owner can afford to let their website go down because of hackers, especially when all their customers are online. Download at https://wordpress.org/plugins/all-in-one-wp-security-and-firewall/ or Click here. Customers are browsing the internet with their phones at a greater rate than on their desktops, that means you can't just have a traditional website, you need to have a website that it is mobile friendly. Download at https//wordpress.org/plugins/wptouch/ or Click here. 9. Yet Another Related Post Plugins (YARPP). Another effective way to improve your website is to keep people engaged with your content and pages (or other content) related to the current content. Download at https://wordpress.org/plugins/yet-another-related-posts-plugin/ or Click here. e guidance of the SEO optimized plugin, you can implement SEO friendly alt and title attributes to every images. Image are an often-overlooked SEO element. You need images on your website, and they need to be fully optimized. A picture is worth a thousand words, and a well optimized image is worth, well, an added boost to the page value.